I hope you’ll join me again (or for the first time) on a concert cruise that is sure to be the highlight of your year—maybe decade. There’s just something about a gathering of the family of God in a gorgeous setting, on a luxurious ship, that leads to memories you never forget. That’s why I’m so excited to invite you to cruise Alaska with me in 2018! The first time Debbie and I visited Alaska, we realized immediately we’d be coming back. There’s just too much to take in. Bald eagles soaring overhead, grizzly bears fishing on the far shoreline, whales breaching in the ocean—it’s a playground for wildlife, and a place where God seems to be having so much fun! I guarantee you’ll be blown away...especially by the glaciers, which we’ll spend a whole day exploring. 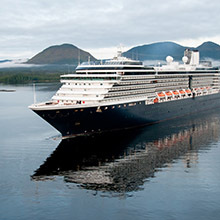 We’ll sail on Holland America's Nieuw Amsterdam, an elegant ship you will absolutely love. The food and service onboard is some of the best I’ve ever experienced. And as you might have guessed, I’m bringing along a few very special and talented friends to make the week even more unforgettable. Not only will our getaway be filled with state-of-the-art concerts, we’ll also laugh together, pray together and share daily devotions—seeking God each step of our journey. Every cruise we plan turns out being better than the last. I can’t wait to see what God has in store for us in Alaska! Let’s worship together in a place that inspires praise. See you there? P.S. Oh, AND you’re invited to sing with me in a unique choir opportunity, where we’ll join with the people of Juneau for a very special concert. Hope you’ll join! 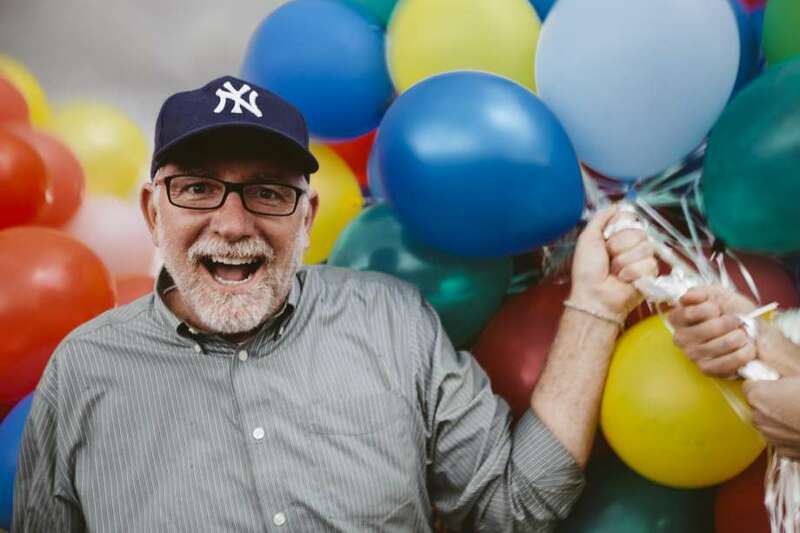 A Washington attorney whose New York Times best-selling book, Love Does, propelled him into a popular author and speaker, Bob Goff is the founder of a nonprofit organization that fights injustices against underprivileged children in Uganda, Nepal, India, Iraq, and Somalia. He also serves as the Honorary Consul for the Republic of Uganda to the U.S. and is an adjunct professor at Pepperdine Law School and Point Loma Nazarene University. A daughter of a pastor from Fort Worth, TX and raised in Oklahoma. Christy’s voice gained a national platform as one half of the duo Watermark with her husband Nathan. Since 2008, Christy’s solo career has taken her around the world including a season as worship leader with Chris Tomlin and Kristian Stanfill at Passion city Church in Atlanta. Christy and her family now reside in Franklin, TN where she continues to write, record, and tour leading worship concerts all around the world. Tammy Trent is a gifted communicator who draws her audience close with her contagious humor and fun, energetic personality and yet the sincerity of her heart and wisdom of life experience is woven through the very words she speaks and sings. She has reached millions around the world through her story of tragedy to triumph and says, “One of my greatest privileges on this journey of hope is to be able to remind others that we can never interpret our numbness as God’s absence in our lives”. Embarkation: 12:00 P.M.—3:00 P.M. Depart: 4:30 P.M. While cruising this network of waterways and islands, you’ll notice Creation offers up its own form of worship. During a dynamic group session, join with Believers from all over to hear God’s Word—growing closer to Him and having the time of your life. Monday, July 23, 1:00 P.M.–10:00 P.M.
Tuesday, July 24, 7:00 A.M.–9:00 P.M.
Once a remote-but-bustling stopover for gold prospectors headed to the Klondike, Skagway has grown out of its lawless days but still retains its Old West heritage. 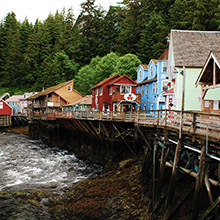 Today, its storied saloons and gambling dens have given way to preserved buildings, charming boardwalks, antique passenger cars and the wild beauty for which the Inside Passage is known. 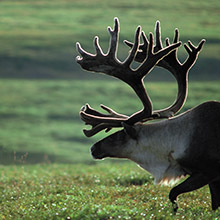 Highlights include the Klondike Gold Rush National Historic Park, the vintage White Pass & Yukon Route Railroad and the historic Chilkoot Trail. 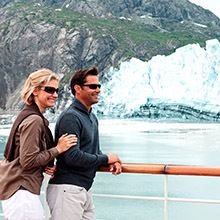 Wednesday, July 25, 7:00 A.M.–4:00 P.M.
Only a few exclusive cruise lines have been given access to the waters of Glacier Bay, a U.S. National Park and UNESCO World Heritage Site. 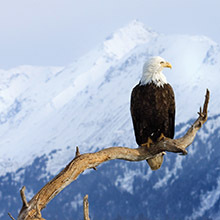 Located west of Juneau, the glassy surface of this impossibly scenic body of water is surrounded by deep fjords, green forests, snowcapped mountains and countless massive tidewater glaciers. Passengers often enjoy breathtaking views of icebergs calving off the walls of ice and splashing into the cold waters below. Thursday, July 26, 10:00 A.M.–6:00 P.M. This rustic Alaska frontier town serves as the launching point for a world of outdoor adventures and memorable family moments. 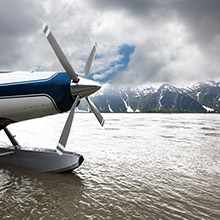 Get behind the wheel of a 4x4 Jeep Wrangler® and caravan along abandoned logging roads in the Tongass National Forest or climb into the skies on a floatplane sightseeing trip everyone will enjoy. 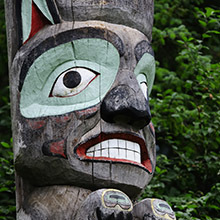 For a more relaxed outing, visit Creek Street historical museum, see original Native American art in the many galleries or watch thousands of salmon as they leap up waterfalls on their annual upstream trek “home”! Bask in the joys of Christian cruising aboard this magnificent vessel as you bond with the family of God. During breaks from the stellar program that’s been designed for you, take to the ship’s deck and scan the horizon, as this day almost always features encounters with marine life. Interior: A nice starter option for those wanting an inside cabin. These charming staterooms feature a sitting area and two lower beds that convert to one queen. Some have additional sofa beds or upper beds. Approximately 151-233 sq. ft.
Ocean-View: A good choice for those wanting a window in their cabin. These comfortable staterooms feature a sitting area and two lower beds that convert to one queen. Some have additional sofa beds or upper beds. Approximately 174-180 sq. ft. *All G cabins have a partially obstructed ocean view. Signature Suite: The best option for those wanting a balcony. These beautiful suites feature a large sitting area, private verandah, floor-to-ceiling windows and full-size whirlpool bath. There are two lower beds that convert to one queen and an additional sofa bed. Approximately 273-456 sq. ft. including verandah. Neptune Suite: The ultimate choice for those seeking luxury. These stunning suites feature a large sitting area, dressing room, private verandah and a full-size whirlpool bath. There are two lower beds that convert to one king, plus an additional sofa bed. Includes access to the exclusive Neptune Lounge. Approximately 506-590 sq. ft. including verandah. Only 200 Spots Available For This Very Special Experience! 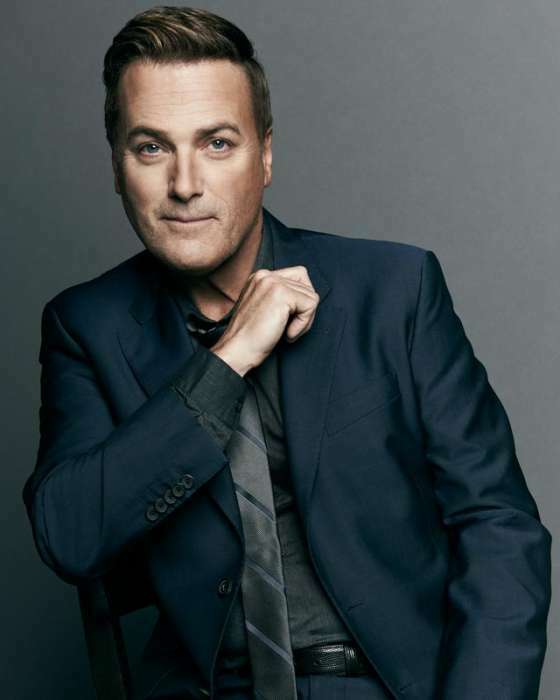 Receive expert training from our Professional Choir Director, Michael W. Smith, and Michael’s band. 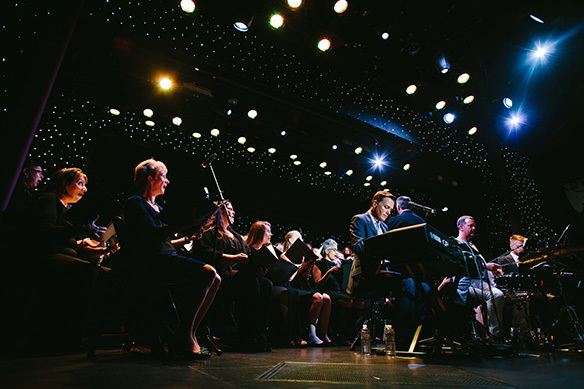 Sing on-stage with Michael W. Smith during a worship special concert for all of the cruise attendees. 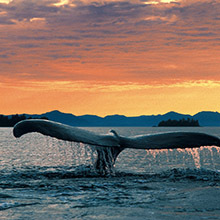 Be part of a once-in-a-lifetime concert for the people of Alaska! Get a free Exclusive T-Shirt for Choir members. This special Choir Track is designed specifically for people who have some choir experience. 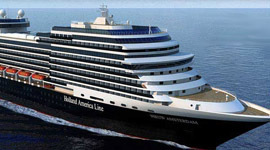 You will receive your music and pertinent information a few months before the cruise. Since space is limited, we encourage you to sign up today to reserve your spot for this incredible experience!